Want to reward your staff? Throw a party for them! 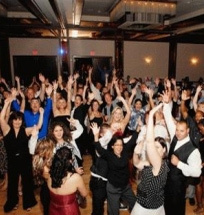 Sound Obsession wants your corporate event to be just as great and enthusiastic as your staff! Hosting a Christmas party? Sound Obsession will be there to help you plan and execute your music and entertainment needs. If you want ideas for a new kind of company party, let our team of professional entertainers work with you to help plan a memorable and fun event. Remember, the summer is also a great time to host a party, don't just wait for Christmas! Don't worry about pleasing everybody, let us worry about that! Sound Obsession boasts a versatile and experienced staff of DJs that are capable of playing to any crowd, no matter how mixed. Your event can be as extravagant or as minimal as you want! Book a face to face consultation (Book a consultation now) and together we can create an experience that will not be forgotten! For rates, please contact Sound Obsession directly as we have many packages to suit your needs!